EXCLUSIVE! Someone to watch over someone you love. 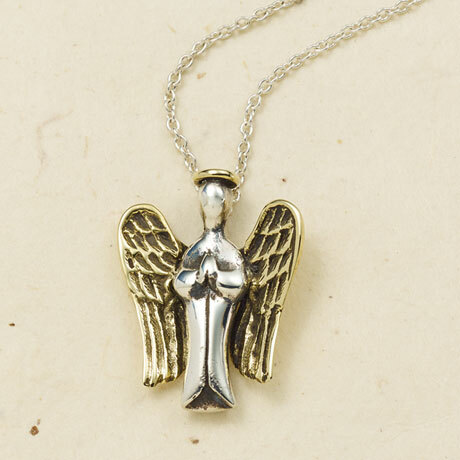 Sterling silver angel has a polished brass halo and wings. ¾" pendant hangs on a sterling chain that adjusts 16-20".